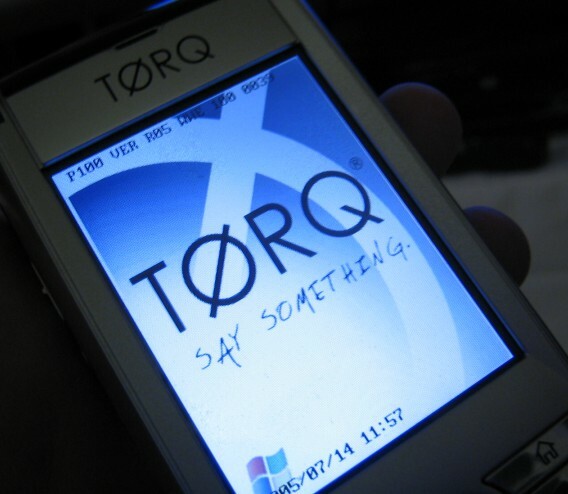 TORQ is not a brand name that I would expect you to have heard before. In the United States, you probably wouldn?t have heard of it by its original brand name either. In fact, I hadn?t heard of it before I was told about this very device a month or so back. But if you are interested in a compact Pocket PC Phone Edition device, this is one of the few options. The TORQ has a unique style, strong features, and is simply one of the most powerful units on the market. The device is on that users should consider as a strong option if they are interested in a device of the size. The TORQ P100 is the US version of the E-TEN M500. It is powered by a Samsung S3C2440 400 MHz processor. The Samsung S3C2440 is basically an Intel XScale competitor processor. For memory, there is 64 MB of RAM and 128 MB of ROM. The P100 is a GSM/GPRS based Windows Mobile 2003 Second Edition Pocket PC Phone Edition device. It is quad-band GSM/GPRS and also includes Bluetooth connectivity. The battery is rated at 1440 mAh. The screen support 16-bit Color, 240x320 pixel resolution, and is 2.8" diagonally. 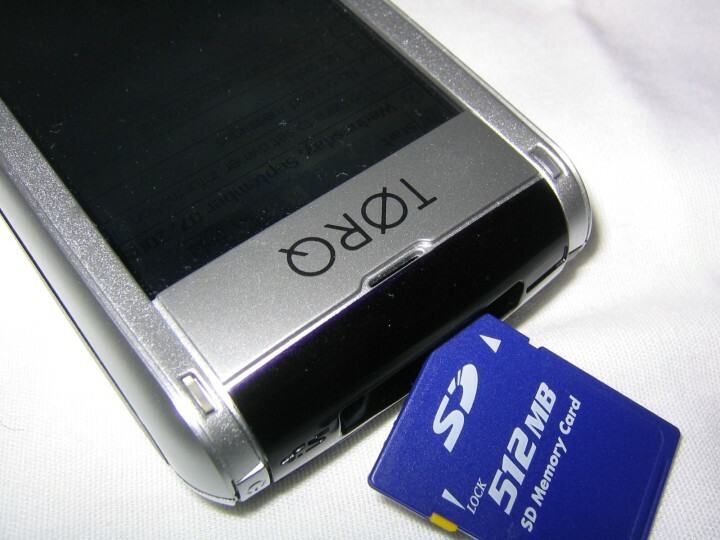 SDIO is included for expandability and a 1.3 megapixel camera with a flash. The device weights 6 ounces and is 4.4" by 2.39" by 0.86". One thing that is immediately noticeable about the device is the style. I actually don?t think that pictures do it justice. It wasn?t until I was holding it that it realized how nice the device was. 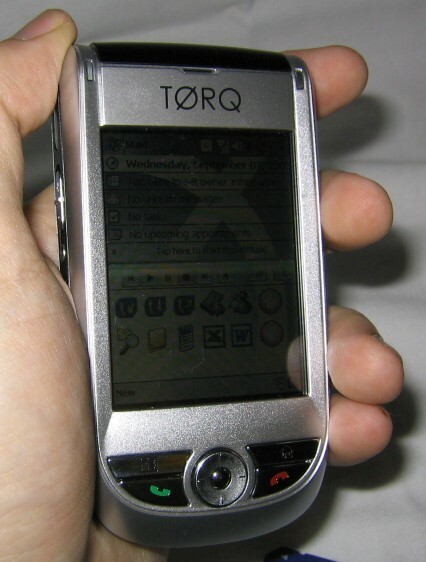 The front face has a silver finish with a large TORQ logo on the top. While there is quite a bit of extra space at the top, the device does not seem tall and defiantly does not seem wide. Phone connect and disconnect buttons are on the front face as are two quick launch buttons. The directional pad is circular with an action button in the middle. 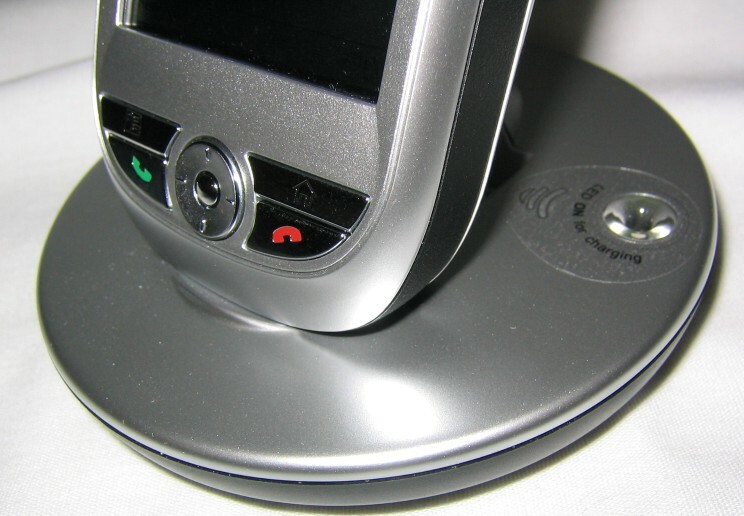 The top of the front face contains notification lights for showing cellular network connectivity, if Bluetooth is active, and other notifications. On the top of the device is the SDIO card slot and the infrared port. One thing is missing from the top of the device (that you would expect to be there) is the stylus. The stylus comes out of the bottom of the device, next to the sync port, which is a unique change from other products. 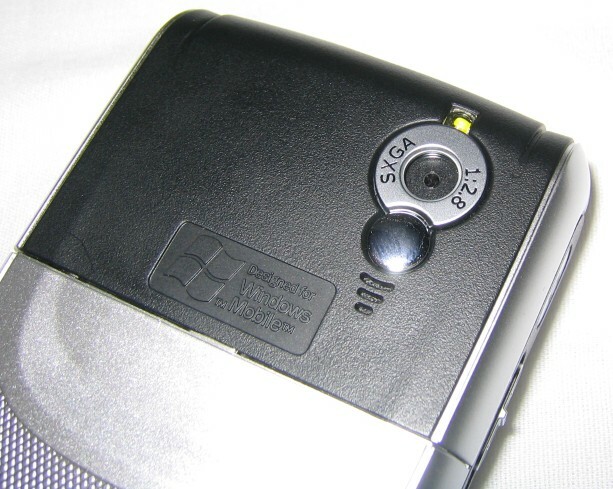 The left side of the device includes a large button for camera action, up/down slider, additional quick launch button, and the reset button. The sides of the device, like the top, are black instead of silver. 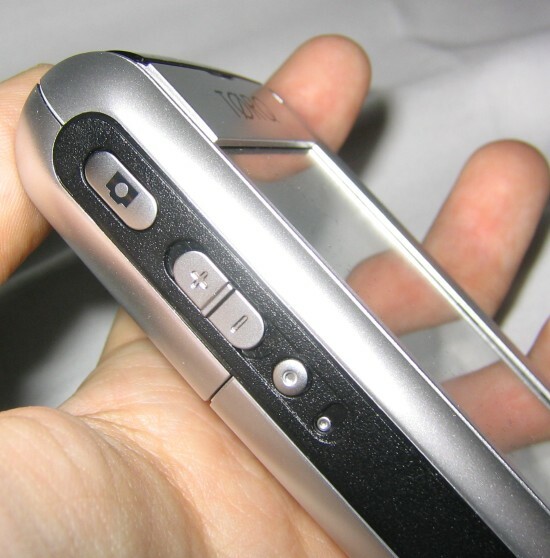 The back of the device contains the camera and the silver part of the back opens to reveal the battery and SIM card slot. 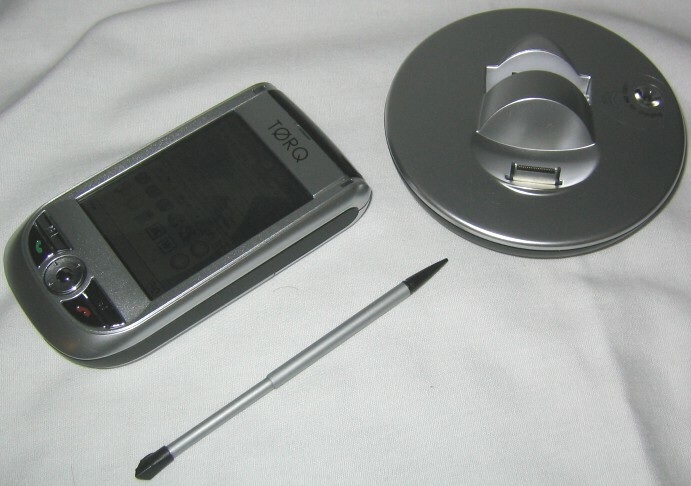 One connection that most people will immediately make is that the TORQ P100 is very similar to the i-mate JAM (HTC Magician). Specifications wise, it is very similar and it is the same compact Pocket PC Phone Edition form factor. It includes many of the same features and feel the same way in many ways. While it might be slightly small for a PDA, it is still fully functional. As a phone, it is decent sized and includes strong phone hardware support. Calls are clear and the hardware receives a strong signal. But in my personal use, I found I liked the TORQ P100 better than the JAM. Even thought the TORQ P100 is thicker than the JAM, it is more powerful in almost every way according to SPB Benchmark. The two device use different processors (though they run at similar speeds) and the TORQ contains more ROM space which supports having less in RAM. Some of the interesting features of this device are in the accessories. The cradle is very stylish. It is round. Round! I know, not very space efficient but it looks darn cool. And, the P100 sits just on top of it, almost looking like it is free standing on its down. When I charged the device on the cradle, it made an odd humming noise. It could have just been my cradle or my ears might just be sensitive, but I didn?t like charging the device on the cradle because of it. A battery can also be charged separately from the device and charging is indicated by a circular light. On the back of the device there is not a power port but there is a standard sync port like on the bottom of the device, and a USB Host port. 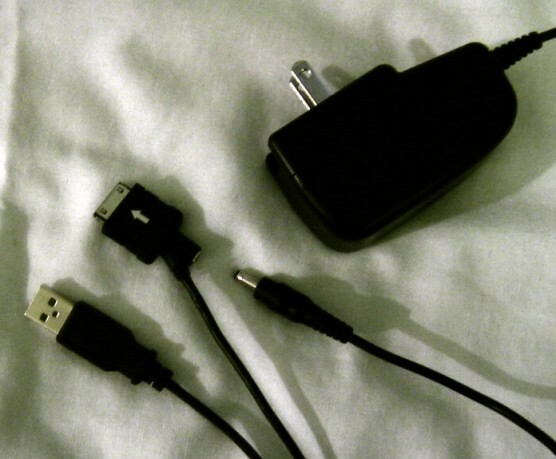 While the power adapter is pretty standard, the USB cable has a USB connection which goes to the PC, a connection to the sync port of the device or the cradle, and an input for power to charge the device or power the cradle. The stylus is another good feature for the device. Because of its size, the stylus cannot be ?full-sized? so the stylus telescopes. How it is housed in the P100 can make it difficult to get out sometimes but it made the device a lot easier for me to use. 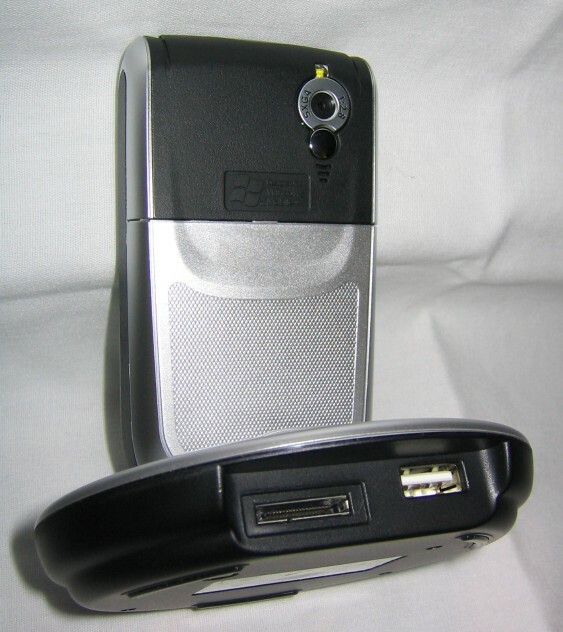 A sung case with a built-in belt clip also comes with the device. Also included with the P100 are a number of special software features. Actually, I wasn?t expecting quite as much software as comes on the device. Special phone applications come on the device and include: Call Filter, MMS Composer, SIM Manager, Wireless Modem, SIM Tool Kit, Send SMS, and Speed Dial. There is a set of special utilities that include: Backup, Configuration Wizard, Format FlashDisk, M-Desk, and Self Test. Voice Commander comes installed and support in the device. It is mapped to what would normally be the Voice Recorder button. I used Voice Commander quite a bit simply because it was already there and setup. The Today screen also contains a plug-in for phone and other software features. A battery bar is also included on the clock. The device support scenarios which also you to control how the device acts including a general scenario, one for meetings, outdoor, and silent. The TORQ P100 was an unexpected surprise for me. From my first experience with a similar compact Pocket PC Phone Edition device, I was expecting to like the device as much as I did. For some reason it just fit well in my hand and merged very well into my day to day use. I think that there is still some room for improvement with the device including scaling down the thickness but also remember this is the first device in the TORQ line. The camera on the device produced pictures that were of better quality than many other devices I have tried and the devices performance not only was technically better but actually was noticeable. I am glad to see this device make it into the US market, and though it runs Windows Mobile 2003 Second Edition, I am told that an upgrade should be available for the device in the near future to upgrade to Windows Mobile 5.0. The device is available from Sound Solutions. If you are interested in a compact Pocket PC Phone Edition device, do not forget to add this device to your list of products to be consider. It is a major competitor and a product that will likely satisfy you needs and more.